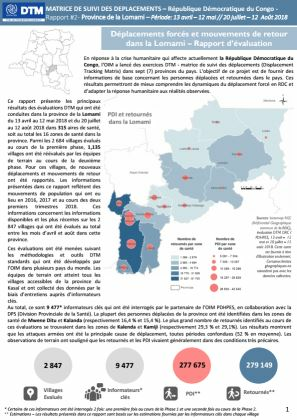 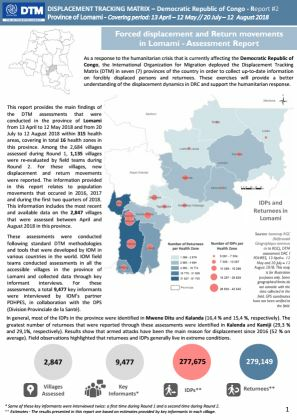 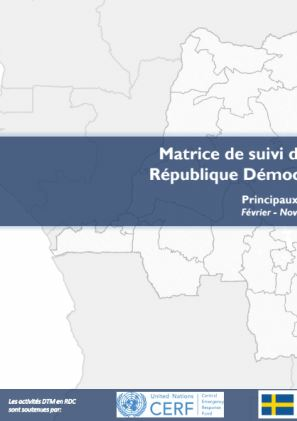 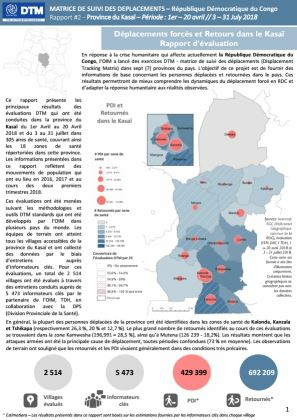 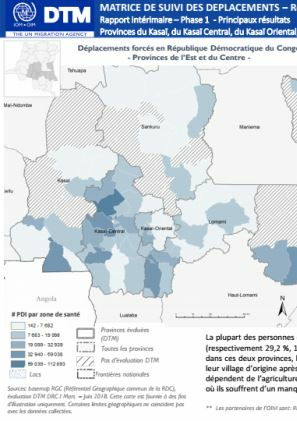 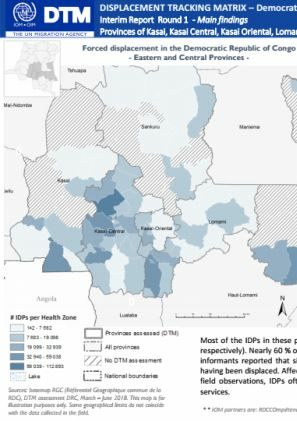 This report provides the main findings of the DTM assessments that were conducted in the province of Lomami from 13 April to 12 May 2018 and from 20 July to 12 August 2018 within 315 health areas, covering in total 16 health zones in this province. 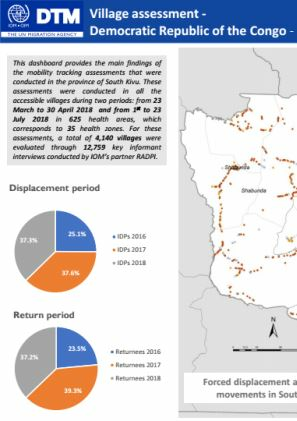 Among the 2,684 villages assessed during Round 1, 1,135 villages were re-evaluated by field teams during Round 2. 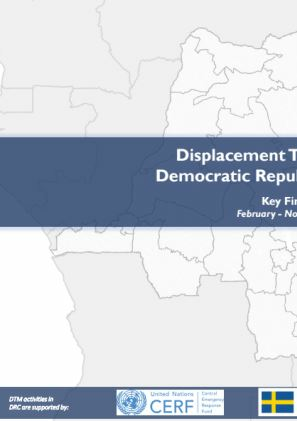 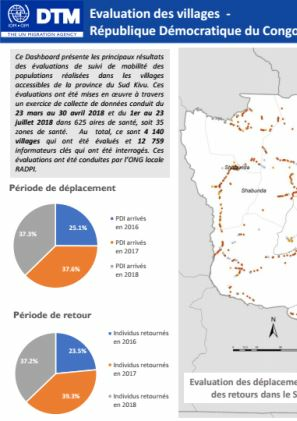 For these villages, new displacement and return movements were reported.